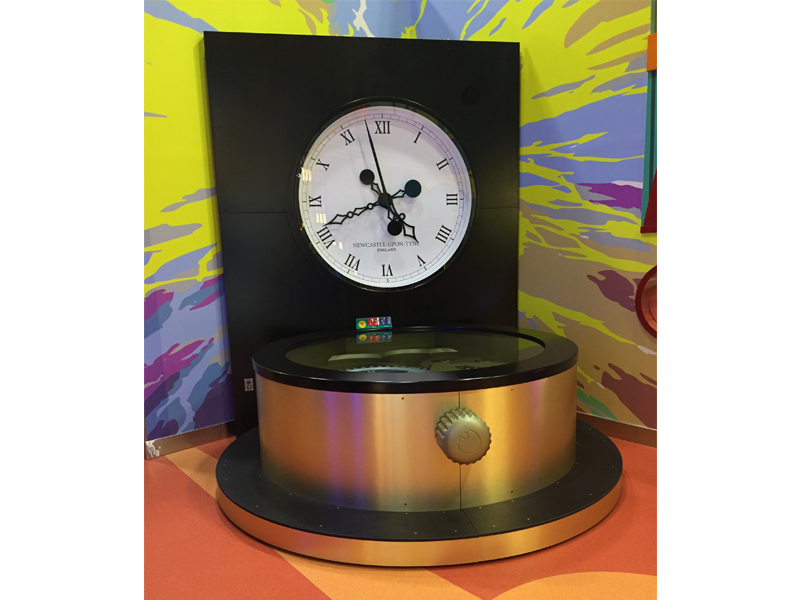 Pairs of visitors are invited to wind up a giant mechanical clock. The mechanism is large scale, and fully visible. Visitors can see how the mechanism functions. As the clock is wound then so the spring is coiled. The mechanism is activated once the spring is wound, whereby the balance wheel, escapement and all gears move in the correct relationships. 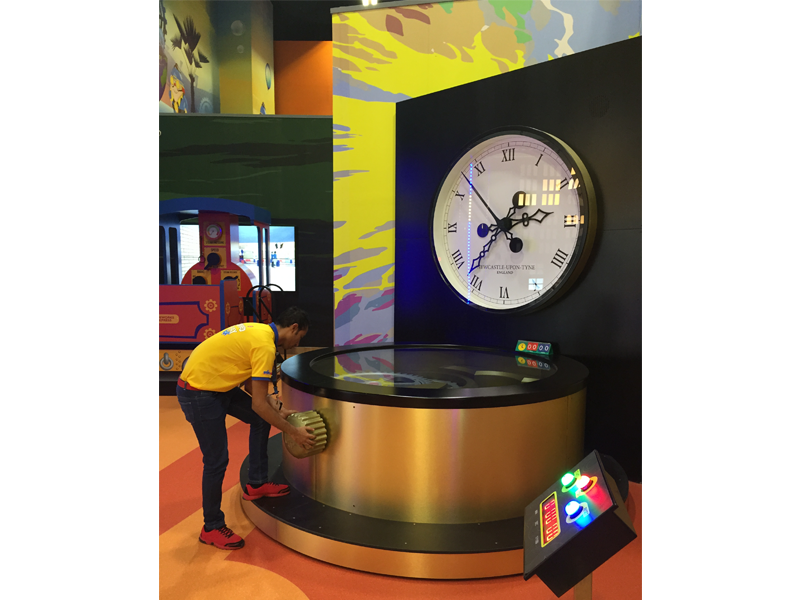 Visitors can also use a digital stopwatch function to time themselves in various activities. 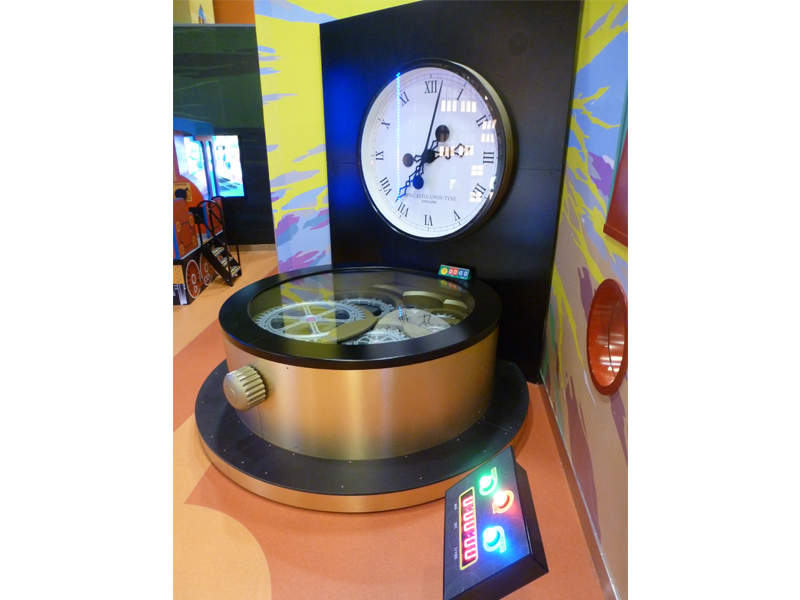 A giant clock mechanism is mounted horizontally on the floor with a transparent surface over the top so that users may look into it. 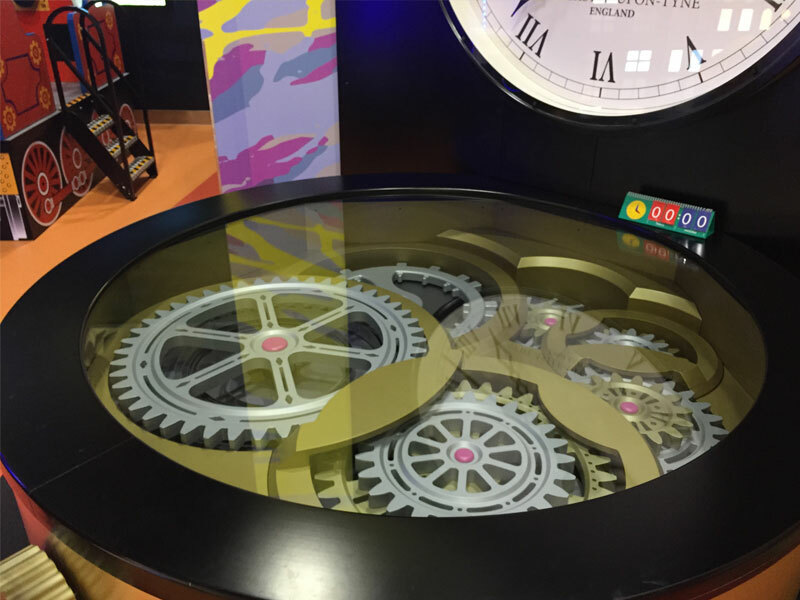 Gear wheels corresponding to hour, minute, and second, along with intermediate wheels, are constructed and work to show how the clock functions. The gear ratios are correct for genuine time keeping. 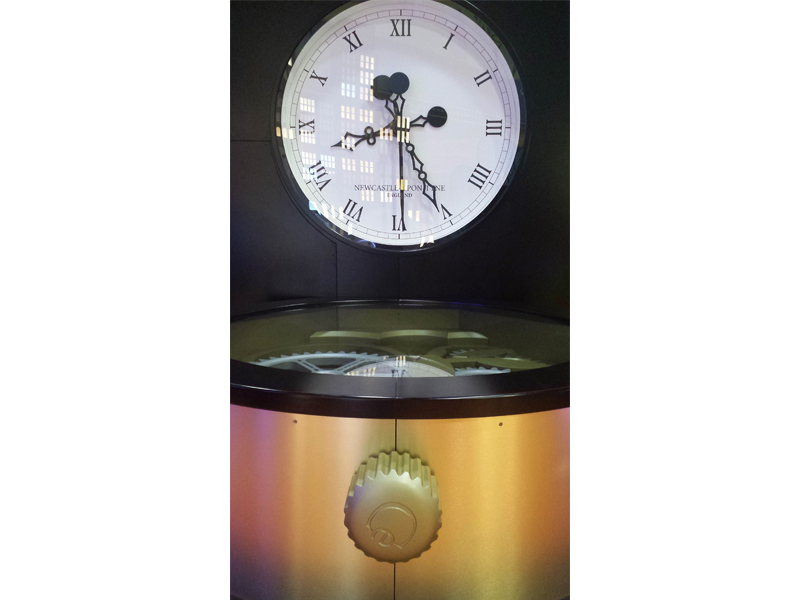 There is also a balance wheel and escapement as found in a real clock.